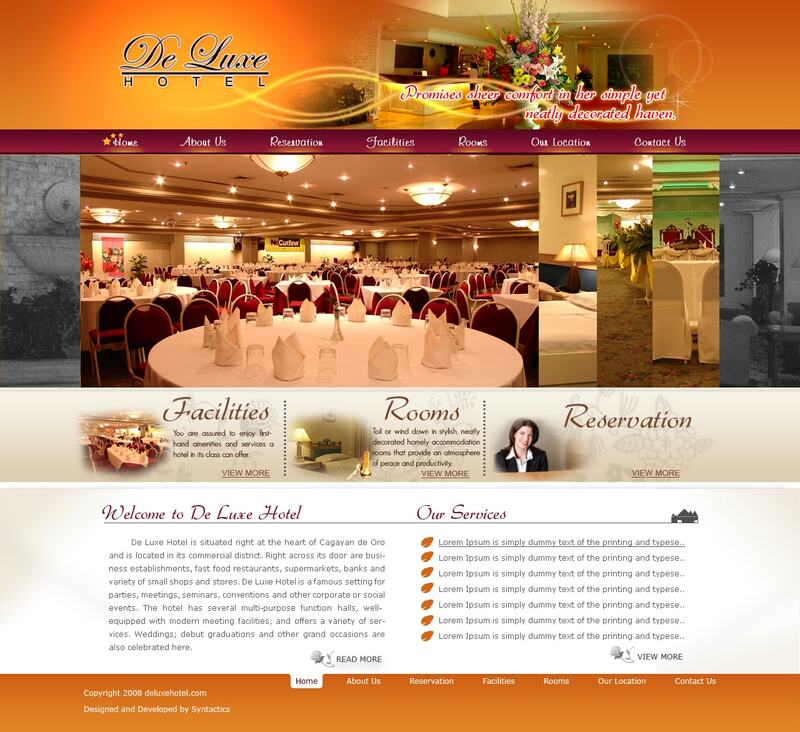 De Luxe Hotel - Syntactics Inc.
De Luxe Hotel is conveniently situated within Cagayan de Oro’s busiest areas. Right outside its doors is the bustling market place, along with a variety of restaurants & eateries, shops, and other business establishments. Transportation is fairly easy, especially for the adventurous, who would like to try the renowned Philippine jeepneys, pedicabs, and motorellas. We offer airport pick-up services for our guests’ convenience. GREENERGY Development CorporationA Brown Company, Inc.